Comedy With Impact events are all about coming together as community — but we make sure that every CWI performer has comedy club headliner chops. Our comedians have worked in top clubs around the country, for corporations big and small, cruise lines. 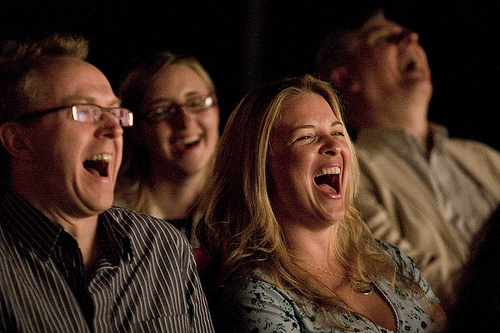 The comedy at every CWI events is squeaky-clean — but comedy club headliner funny. As one of the few all-age appropriate events that adults and kids alike will actually want to go to, our charitable beneficiaries and sponsors are thrilled with the results! Each CWI show benefits one or more charitable causes that everyone can get behind, and provides an opportunity to not only fund causes, but to make a personal impact! So you do good just by showing up! Thanks to the generosity of the businesses and organizations that sponsor CWI events, your ticket price goes directly to charity. And with no pressure to give anything more, can you think of a better way to have a great evening out? As community events, we want to make sure you can bring all your friends and families -- so group rates start at just 6 tickets! It'll be completely up to you, but one of the great things about CWI is how we often are able to give you tangible ways to do additional good for the charitable causes our shows support. Comedy -- at least clean comedy that never offends -- is a great tool to bring people together. CWI takes that a step further by bringing people together to laugh to benefit great causes. Plus, the community aspect of the shows are that much more evident because we involve businesses that are true "corporate citizens" and venue hosts that truly care. It's a truly unique experience. To learn more, contact us at info@comedywithimpact.com. Again, these are just examples. But for a show to be its best, we know it's important that the audience have an affinity for your cause and confidence in your organization. That makes for a great audience and for a great show, too! Ideally, the charitable beneficiaries will have follow up volunteer opportunities that can be shared with those in attendance. We don't do high-pressure appeals, but find that many like to be presented with organized ways to participate in doing something good. We like the fundraising aspect of these shows, but volunteer raising can be even more fun! 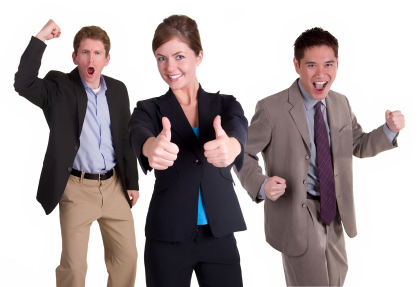 Business involvement is a key component to any Comedy With Impact show. Sponsorship shows community leadership and increases the audience's ability to impact the charitable beneficiary. The businesses certainly benefit from the goodwill that charitable giving programs offer, but our sponsors know that that is a secondary benefit to the participation itself. We understand and celebrate the special dynamic created when different aspects of a community come together -- and business involvement in an event like this is worth celebrating. In a time when politics and other factors divide communities, we know that people and organizations are looking for examples of unity. Frankly, that's part of the reason we and the performers do this in the first place! To learn more, contact us at info@comedywithimpact.com. These are just examples of why a business would sponsor a Comedy With Impact show. That commitment makes involving comedy a legitimate and unique option -- so your participation will stand out.